Down Syndrome Child Doing Colouring In At His Nursery. His Teacher Is Sitting Next To Him. Royalty Free Fotografie A Reklamní Fotografie. Image 60256045. 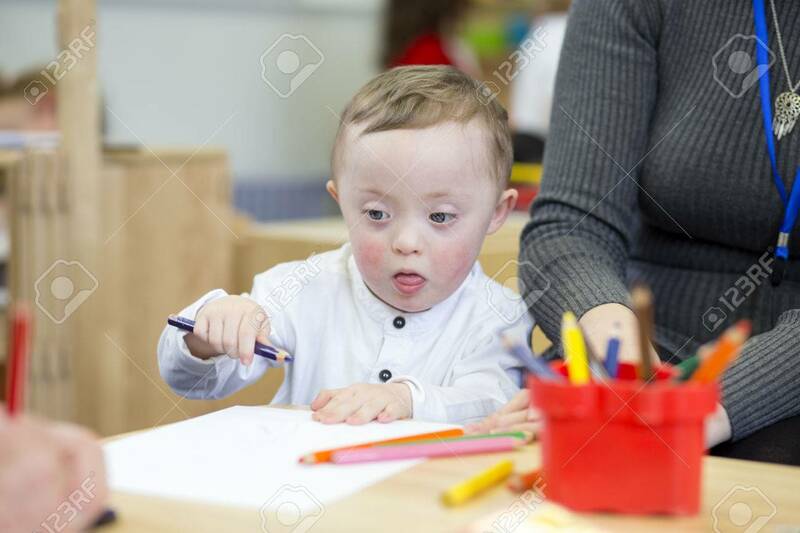 Reklamní fotografie - Down Syndrome child doing colouring in at his nursery. His teacher is sitting next to him. Down Syndrome child doing colouring in at his nursery. His teacher is sitting next to him.